Why Is Your Hot Water Pressure Low? There can be several different reasons why hot water pressure decreases. The water that passes through your hot water tank or tankless system should be flowing at the same amount of pressure as the cold water. When it is not flowing at the same rate, then the cause could be from hot water heater problems or problems with the plumbing water supply lines inside your home. Hard water scale and mineral deposits inside the plumbing lines. If your home has hard water, there will be scale and mineral deposits which gradually form inside water supply lines. Eventually, the buildup can become so bad, it will cause the water pressure to drop since water flow is being restricted. Sediment and scale buildup inside the water heater. For homes with tank-type water heaters, sediment and scale problems do occur. 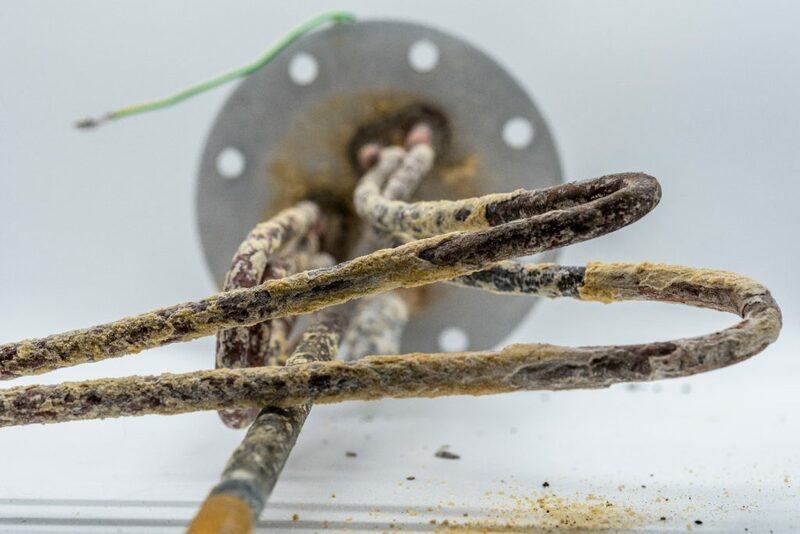 The inside of tank-type heaters can corrode and, eventually, this corrosion settles to the bottom of the tank. However, sometimes the pieces of sediment get drawn into the hot water supply line and will create a blockage which lowers water pressure. For tankless heaters, scale buildup does occur and can be an issue affecting water pressure. Kinked water supply intake or outtake lines. Most tank-type water heaters have accordion-style copper water pipes which are easy to bend. If the pipe itself is bent too sharply or kinked, the water will not flow through it correctly and could cause a reduction in water pressure. Too many bends in the plumbing lines to reach the faucet. The distance the hot water has to travel until it comes out of the faucet also affects the water pressure. If the water has to go around numerous bends, each time the water hits the elbow in the pipe, it loses some pressure. The shutoff valve is partially closed. If the shutoff valve on the water heater is partially closed, water flow is restricted. This will cause a reduction in water pressure in all hot water supply lines throughout the entire home. The whole house has low water pressure. If both your hot and cold water supply lines have low water pressure, then the problem is often related to the direct main water supply line coming into your home. The water supply lines are not sized correctly. If the water supply lines are too small or have been downsized from the size of the main water supply, then water pressure is reduced. This is because the flow of water is attempting to go from a large pipe into a smaller one. The main house water supply shutoff valve is partially closed. If the water main supply line has been partially closed, it will cause a reduction in the water pressure in both hot and cold water lines. The pressure regulator is not configured correctly or needs to be replaced. On homes with pressure regulators, if it was not set correctly and was left on a lower water pressure, you will not have good pressure inside your home. In addition, if the regulator is defective or has worn out, it could result in reduced water pressure. Your home has old steel water pipes which have corroded inside so badly, it is creating a blockage. On homes that still have steel water pipes, they will corrode and rust inside the water supply lines. Just like tank-type water heater sediment, the corroded pieces can break off and create a small clog that restricts hot water flow and reduced water pressure. The faucet or fixture is worn out and/or has excessive scale buildup. The cause for reduced hot water pressure could also be related to a worn-out faucet or fixture that needs to be replaced. Hard water scale and mineral deposits also build up inside faucets and fixtures. What Can Be Done to Fix Low Hot Water Pressure? The first thing you should do is determine whether the problem is isolated to a single sink, bathtub, or shower or is affecting all of the hot water faucets and fixtures in the entire home. Once you have done this, then you can start to narrow down the potential reasons for reduced hot water pressure to fix it. Let’s take a look at how to fix low water pressure from the reasons we stated previously. Hard water scale and mineral deposits inside the plumbing lines. The two options to fix this problem is to either have your plumber clean the water supply lines or replace them with new water pipes. Sediment and scale buildup inside the water heater. If your water heater is not that old, you could have your plumber flush and clean the sediment and scale from inside the tank. If your water heater is more than eight years old you may need to replace the water heater. Kinked water supply intake or outtake lines. You will need to replace the water supply lines that are kinked too badly. If they are just bent too sharply, you could attempt to reduce the sharpness of the bend, but you do need to be careful to not further kink the pipe. Too many bends in the plumbing lines to reach the faucet. You could have your plumber repipe the plumbing lines to the areas of the home that have problems with reduced hot water pressure. 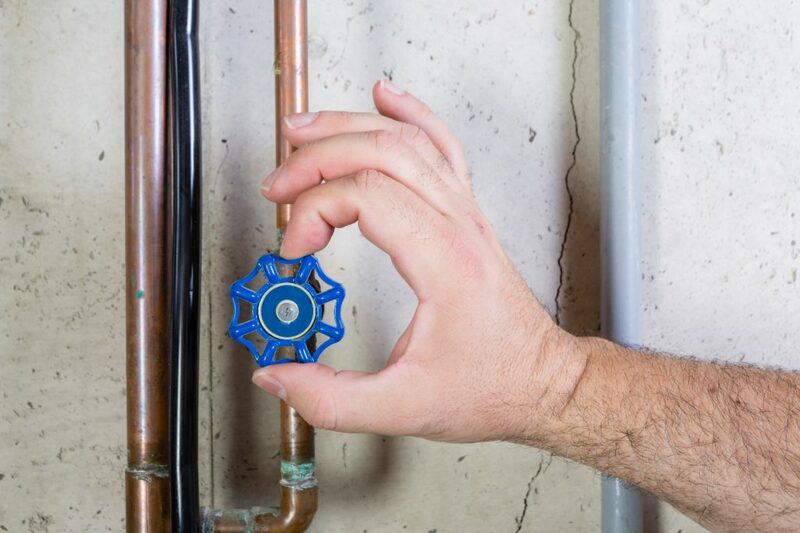 If the entire home is affected, another option is to have a pressure regulator installed if you do not have one or to have your plumber adjust the setting to increase water pressure. The shutoff valve is partially closed. If the shutoff valve to the water tank is partially closed, simply open it up all the way. The whole house has low water pressure. You could have your plumber install a pressure regulator, if you do not have one, or have the setting adjusted to increase pressure. The water supply lines are not sized correctly. To fix this problem, you could have your water supply lines repiped by your plumber so they are larger. With larger water supply lines, pressure reduction and friction are reduced. In certain cases, you could gain quite a noticeable amount of pressure increase. The main house water supply shutoff valve is partially closed. Open the water main up all the way so it is fully turned on. The pressure regulator is not configured correctly or needs to be replaced. Check the setting on the pressure regulator. If it is set correctly but you are having low water pressure issues in both hot and cold water supply lines, it needs to be replaced. If it is too low, it needs to be adjusted carefully as to not increase the water pressure too much. For both fixes, call your 24-hour plumber and schedule a service call. Your home has old steel water pipes that have corroded inside so badly, it is creating a blockage. The best solution is to get a whole home water repiping completed from a qualified plumber who has experience performing this service. The faucet or fixture is worn out and/or has excessive scale buildup. If the cause for reduced water pressure is the faucet or fixture, have your plumber replace it with a new one. Please keep in mind, everyone’s home plumbing configurations and causes for reduced hot water pressure can be and are different. In certain cases, your home could have multiple reasons for reduced hot water pressure. While determining the reasons for your home’s reduced hot water pressure is something most people can do themselves, when it comes time to do the actual fix, it is often better to call in a professional plumber for assistance. Tank-type water heaters are under a large amount of pressure. There are safety risks, including the risk of severe burns and potential water heater explosions. Hot water heater problems should be left in the hands of an experienced professional so you do not have to risk injuring yourself or others. If you need repiping performed, it requires knowing exactly where your water supply lines run in your home. If you attempt to do the job yourself, you could end up with large sections of walls, ceilings, and flooring torn out that should not have been and which will only add to your repair costs. Professional plumbers have access to special equipment to determine the precise location of water supply lines. They also use the latest repiping methods to minimalize the amount of walls, ceilings, and flooring that needs to be removed. Most importantly, any plumbing work you have done needs to be completed correctly and up to current building codes. This way, if you ever decide to sell your home, you can easily assure potential buyers all plumbing work was completed by a professional licensed and insured plumber. For help finding the reasons for reduced hot water pressure and hot water heater problems in your home and having them fixed correctly, please feel free to contact your nearest Christianson Air Conditioning and Plumbing location in New Braunfels, Temple, San Antonio, or the Austin Metro Area today!